(Bananas, Saba Cooking) Saba or cooking bananas, a variety of bananas from the Philippines, are usually sold "green" or when the just begin to turn greenish-yellow, which means that the bananas are mostly starch, but if they are left out to ripen, as those in the photo above, they become sweet as the starch converts to sugar; however, they are not as sweet as the regular eating bananas. 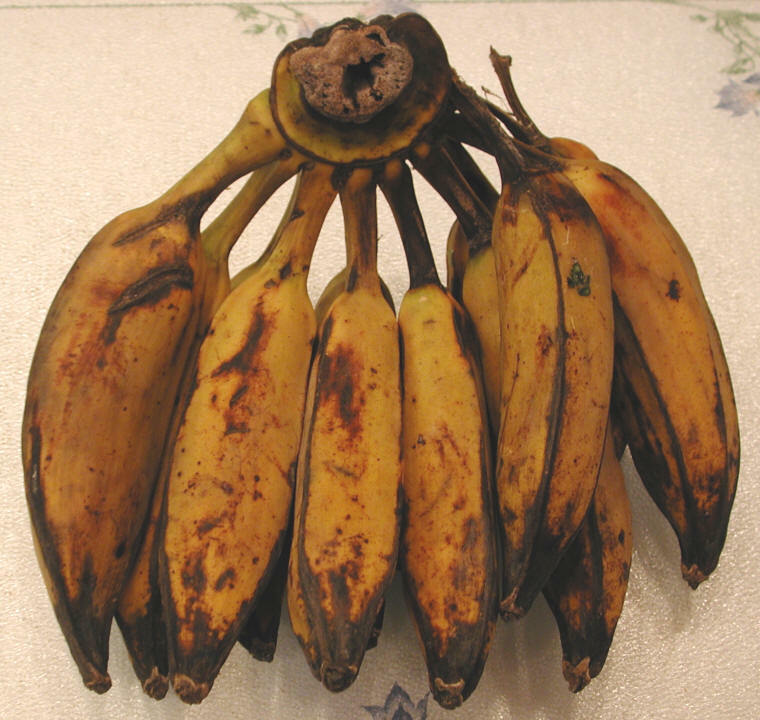 This is the reason that saba or cooking bananas are usually cooked in various recipes, much like plantains. 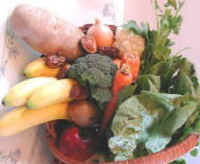 In fact, saba or cooking bananas and plantains can be substituted for each other in any recipe. Saba or cooking bananas are about 1/2 the size of plantains. We could not find any specific nutritional information for saba or cooking bananas.